Overview: The Ouaddai Empire was originally a non-Muslim kingdom that ruled present-day Chad from the sixteenth to nineteenth centuries. From the middle of the eighteenth century it came under Islamic influence. 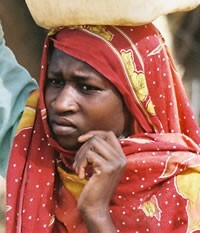 Today, a number of Sunni Muslim subgroups of the Ouaddai inhabit the Wadai Province of Chad. During the same era, the Fur Empire ruled western Sudan, primarily the Darfur region, before falling to the Anglo-Egyptians in the late nineteenth century. The Ouaddai-Fur people cluster encompasses people groups whose roots trace to these two empires.